My brother — PJ, Pablito, Pdizzle, Pdawg, Pjazz, broski, punkface — called me last night for a little chat. We’ve started to get better about regular calls, and now we’re pretty good at it. We are well-connected as individuals (both ENFJs, both consultants, he puts in my place/I put him in his, and we were very close growing up…he succummed to playing dress up with his big sis, ha)… so when we talk it flows. 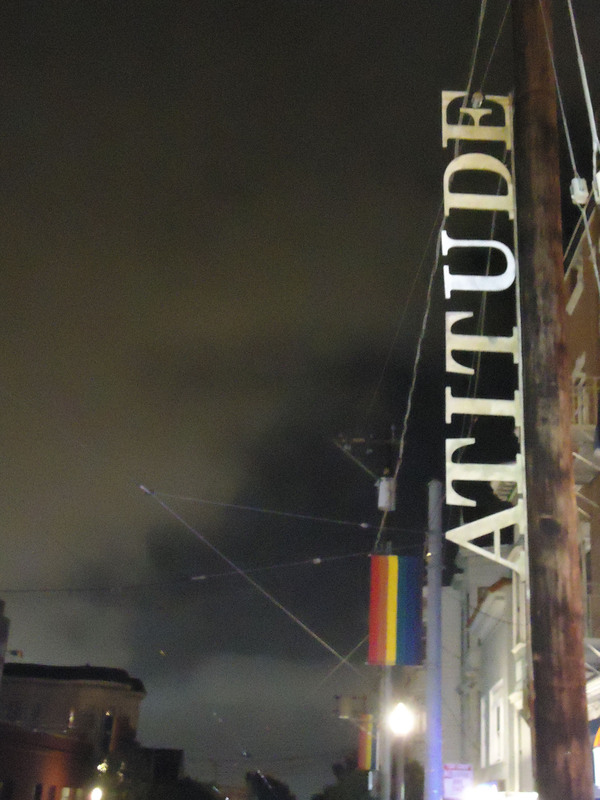 Recently when PJ was in San Fran he found this type on a street pole in a neighborhood called the Castro District. He thought it would be something I’d like to include in my blog… he’s a pretty darn thoughtful guy. So, this type is cool on a number of levels. First, I like the message. In our family, we’re all about attitude. We’re a little obsessive. I blame it on my dad, but really can you blame him? Your attitude about life has a huge impact on your outlook. Second, the execution is effective. It’s a straight-forward sans serif and the white makes it pop. Third, I like the location. It is kind of unexpected but also easy to spot. The location allows it to reach masses…and this is a message worth spreading. We all need to be reminded of the importance of our daily attitudes again and again.